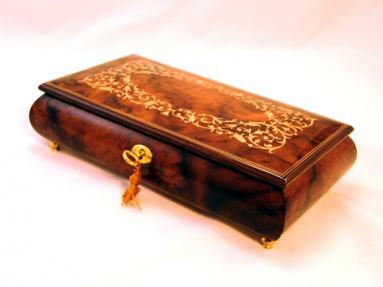 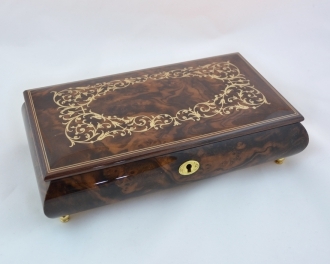 This magnificent Italian music box is handmade with burl wood. 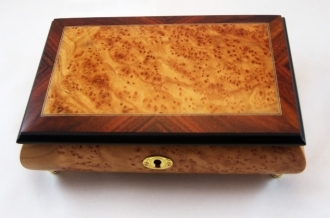 The natural burls on the wood are polished to a smooth gloss. 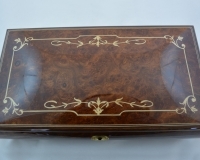 The lid of this Sorrento music box is further inlayed with a delicate and simple arabesque design, which makes it very decorative without appearing to be too garish. 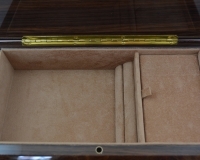 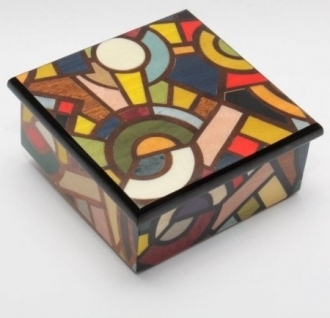 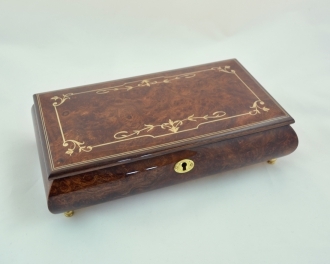 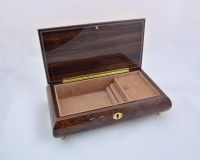 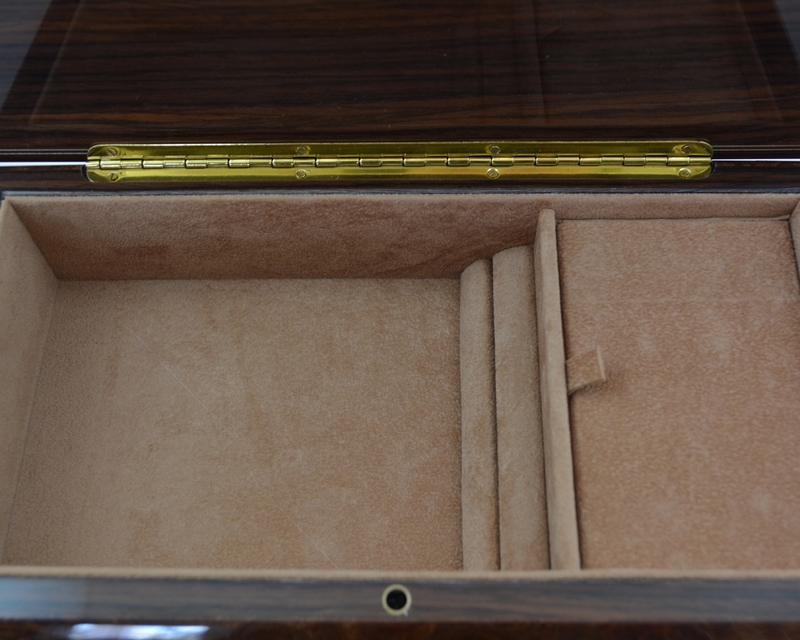 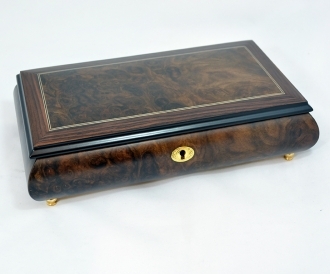 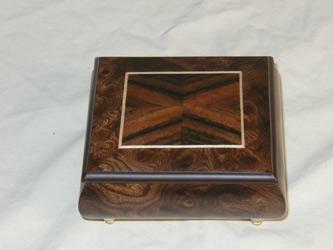 The inside of this music box is lined with soft felt and is divided into two compartments. 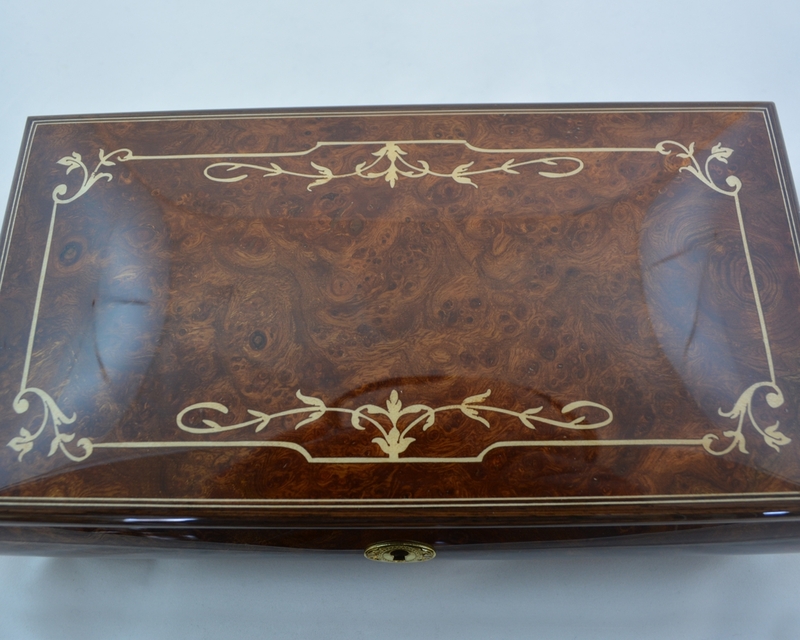 One of them has a very useful lid also.